These maps are to show scale - Compared to Brazil, French Guiana is tiny. Compared to CT, it is huge. 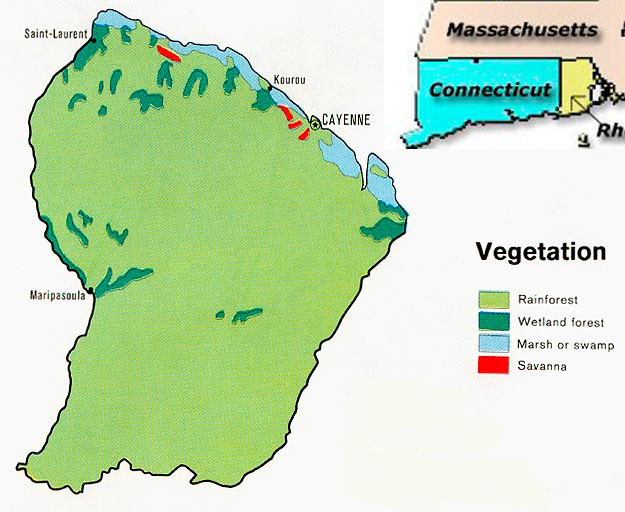 French Guiana is almost all one kind of ecosystem.